Join the adorable Freddy as he embarks on his adventure while trying to stay alive in the dangerous, bird infested sky! Not only does he have to avoid getting eaten by the birds, but also overcome the risk of running out of fuel necessary in order to power his jetpack, and keep him from falling out of the sky. The game starts of easy, but don’t be fooled! As the meter count increases, so does the difficulty. 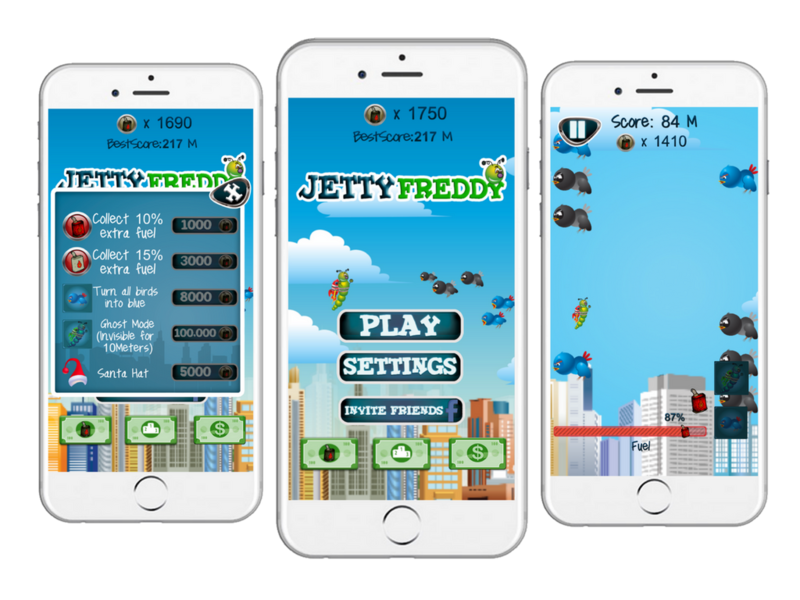 More birds, faster speed, and a surprise obstacle makes Jetty Freddy not only pleasantly challenging, but also unbearably addicting. So, whether you’re looking for an intense gaming experience or simply a time waster, you’re on the right page. This game is so simple, yet hard, fun and addicting. Oh, and just a word of advice… once you download this game, sit back, relax, and cancel all your plans, because once the birds attack there’s no going back!